I knew about the macet. I should’ve listened when people told stories about how horrible it is — but I didn’t. You can’t blame me, though. Coming from a city where traffic is bad at best, I never expected that something can be worse than Manila’s traffic jam. I should’ve known better. Jakarta. We squeezed this city into our itinerary simply because it’s the capital of Indonesia, and we’ve always spent some time in a country’s capital before heading out to other provinces. Tired as I was past one o’clock in the morning, I kept myself awake during the ride from the airport to the city. I wanted to take in what this short Jakarta stay had to offer. I have to admit that I initially thought that this capital was far underdeveloped than its other Southeast Asian counterparts. Upon setting foot on the city, I was proven wrong. The roads were wide and brightly lit. Its clean sidewalks were luring me to take a stroll. New and tall buildings sprung out from the roads. Soon, I saw the terminals of the bus rapid system and the foot bridges that connect them to the sidewalks. Monuments and parks were scattered throughout the city. This place is pretty, I thought. 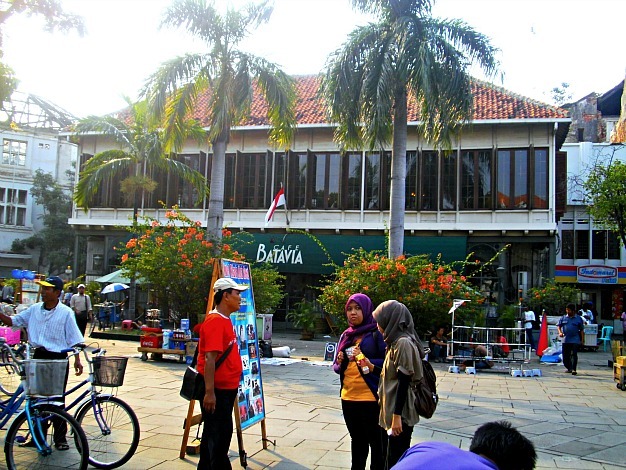 For just a day in Jakarta, I planned to see the MoNas, the Old Town and the nearby Sunda Kelapa harbour, and the Taman Mini. Four attractions. One day. With a rental car, I knew that we had more than enough time to visit everything on the list. Little did I know that the macet was against me. 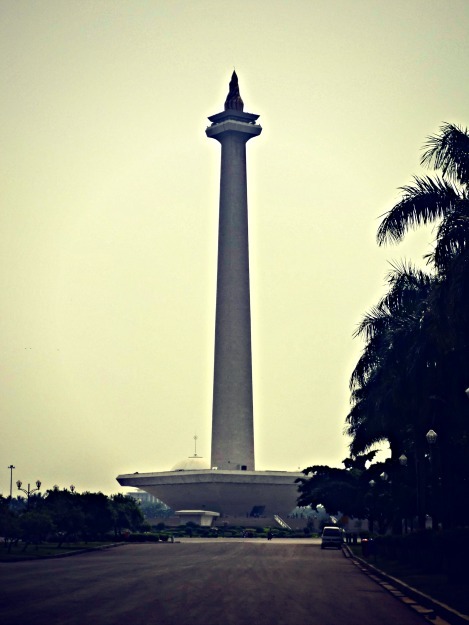 Monument Nasional, fondly known as the MoNas, was commissioned by President Sukarno to symbolize the country’s independence from colonial rule. After shelling out only IDR 20,000, I was able to go up the viewing deck, where I got to see a bird’s eye view of the city. Here, I saw the Istiqlal Mosque, the President’s Palace and Jakarta’s skyline. 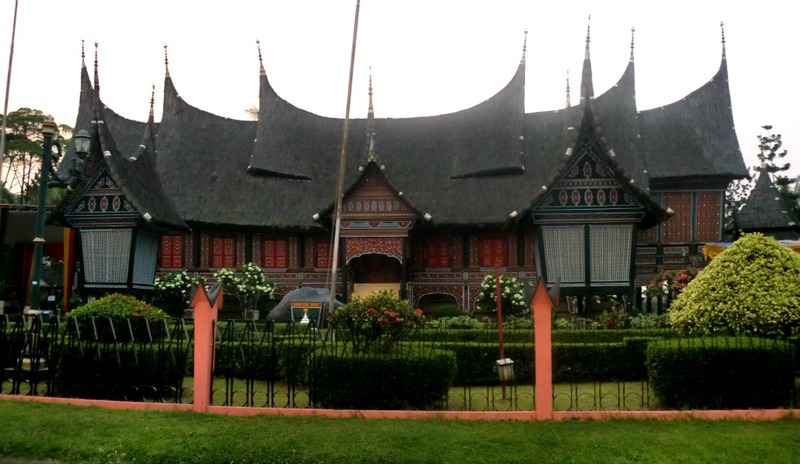 We asked Andri, our driver, to bring us to an Indonesian restaurant. On the way, I got my first taste of the Jakarta’s traffic jam. After lunch, I had another encounter with the macet. 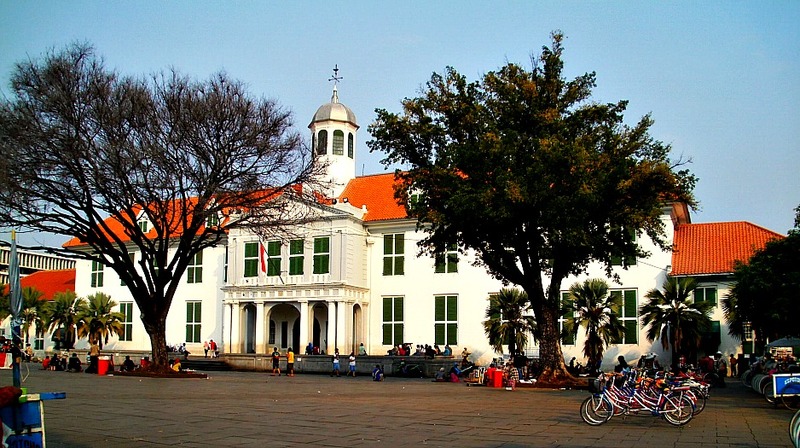 Old Town Batavia was where the Dutch immigrants settled and where the seat of government was established. 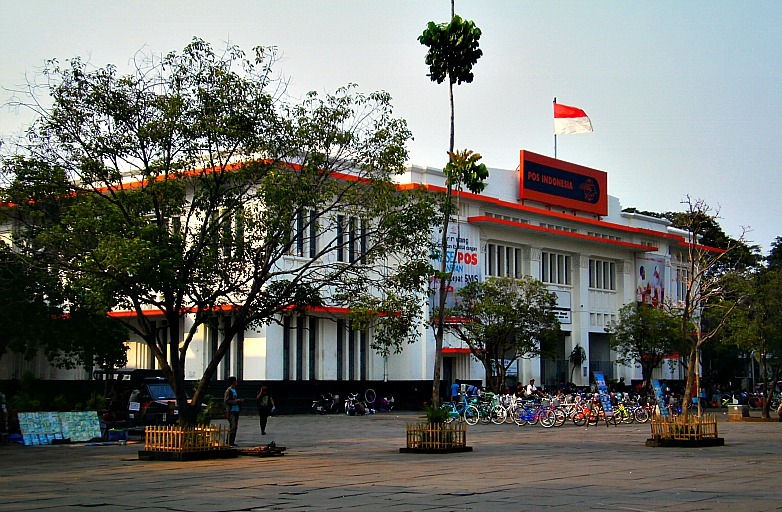 Most of the old buildings standing today exhibit Dutch architecture, and currently serve as museums. Due to my father’s arthritis, we opted not to walk around anymore. 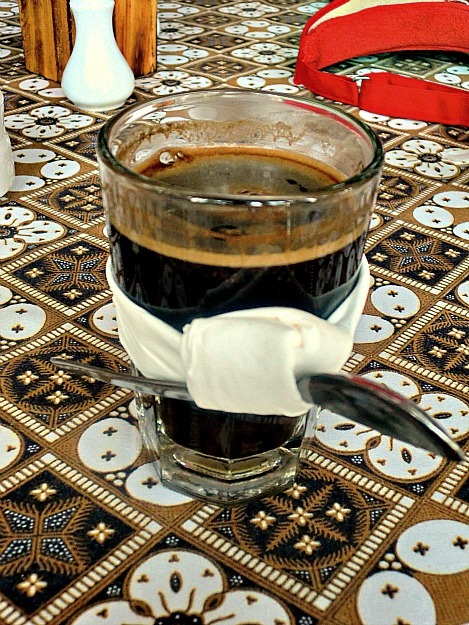 Instead, we relished a cup of Java coffee from Cafe Batavia. The coffee was good, but the cafe was really an experience in itself. Though I asked Andri to drive us to the Sunda Kelapa Harbour, I had to take it back. The reason? Macet. 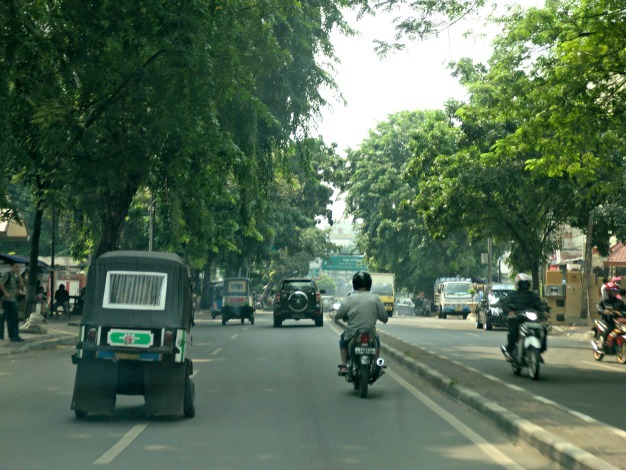 I figured I wanted to visit Taman Mini more than the harbor, and given how bad (well, bad is a very mild term) the traffic was, it was impossible to cover the two attractions for the remainder of the day. And so we spent a good couple of hours on the road going to Taman Mini. It was indeed far from the center of the city, or maybe the macet made me think so. By the time we finished driving around Taman Mini, it was already dark. Heading back to the city center was surprisingly fast, but the traffic in the city center was another story. That sounds exactly like the Jakarta I live and breathe! Except for the clean sidewalks, I guess I always go out at the wrong time… I hope the macet wasn’t unbearable and I wish you happy travels! Truth is, I still want to go back to Jakarta. I had too little time to see that big city. Happy travelling to you too!